For the last few years I’ve been working hard on my professional goals and trying to advance my career in public education. I’ve done everything “by the book.” I’ve done the course work. I’ve passed the tests. I’ve done absolutely everything that I can do, even so far as having my research published in an educational administrative journal. And I’ve hit the wall over and over again. Each time I’ve hit the wall, I’ve reevaluated. I’ve asked myself hard questions and I’ve learned important lessons. But this weekend, after soul-searching after yet another difficult wall, I realized that I’m going after my goals in a traditional approach.. the accepted approach… the textbook approach. The textbook approach has NEVER worked for me. My dad has often laughingly said that I created my own degree plans in college and created my own jobs. And you know what? I have. Why? Because I had to in order to survive. But during the last few years, with a good job and some, what I thought were attainable goals, I forgot that I don’t fit the box that others want. I gave absolutely everything I had to doing what was expected, traditional and allowed. And I found that not only does that not work for me, I didn’t get the promotions that I worked so hard for. And I really want to give up. I didn’t learn to finally read fluently in fourth grade for nothing! Traditional approaches to education didn’t work for me as a child. My path to reading and basic math was HARD and I have the elementary report cards to prove it. The four C’s I got in second grade on the second marking period were disappointing. Staying in at recess in third grade so that I could figure out math problems wasn’t fun. Having to read into a tape recorder at night and play it back and listen to myself read the words wasn’t easy. But I did it. And I learned to read and I passed my math classes. No, I’m not showing you the grades on the inside! Everyday I could have given up. But I didn’t. My brand of gifted (remembering pretty much every room I’ve ever been in, including the orientation of the bed compared the window for every room I’ve slept in for the last 40 years..) doesn’t make the standard list of gifted and talent attributes. What I learned is that I have to fight for myself and be willing to take the path full of rocks. The path full of rocks is often lonely, its tough and you are destined to get scrapped up along the way. But it is worth it, because the view from the peak is incredible. I’m setting out on my own path. It’s not a path of manicured grass with a pretty pond. It’s a path of rocks and I’m going to conquer it. Over the last two days, I had the privilege to work with a number of high school one act play casts from the surrounding area as they prepare for competition. During this time, I found myself repeating quite a few concepts over and over to each cast. One of those was to make concrete choices and get rid of the wishy washy decisions. It is early in their production cycle, so many of the notes I gave were quite useable (I hope!) as they have time to truly process what I said and then choose to use my thoughts or ignore them. This got me thinking about decision making it in terms of real life. I personally love making a decision and then going headfirst into a new adventure. I know that scares some. It invigorates me! My problem typically isn’t starting, it’s finishing. Nevertheless, there are a number of areas in my life where I need to reevaluate my choices. The pendulum: used to describe to the tendency of a situation to oscillate between one extreme and another. That is why the image of the pendulum works so well when talking about education “best practices” and trends. After almost 20 years in the classroom, I have had the opportunity to learn and use a number of teaching methods. Some are worthwhile. Some are not. But every few years the new “great” thing comes out and all of us educators have to sit in professional development sessions and hear about how if we will use this new method our classrooms will be transformed. They never are. Yes, I’m a bit cynical. But after all of these years and reading and researching and actually doing the job, I realize that the catalyst for change, the red ball in my picture above is never a teacher in the trenches. The catalyst is a politician, a higher-education researcher, a group of specialists, a retired administrator.. someone that personally benefits from suggesting this new better thing. The catalyst of the pendulum shift is on the outside and only sees what happens from one point of view. Huge difference. His ideas came from seeing education from the center of the pendulum. While he was pushing for change, he was also being hit from the other side by the realities of his classroom. In the end, it was a nice presentation and we went on doing what we’ve been doing.. because there wasn’t an outside force that required change. There wasn’t any follow up, no required test, no paperwork followed. hmmm. interesting. So I guess this reality becomes my question. How do we in education become internal catalysts for change that we know is needed? How do we, in essence, change the direction of the pendulum? Do we have to wait for the hit to come back at us? Do we have to absorb the changes in one direction before we can send change back in the other direction? Processing this pendulum concept empowers me. Often I feel completely on the outside of the educational process and that my world doesn’t matter to anyone or anything beyond my students and my classroom. All of us. Every. Single. 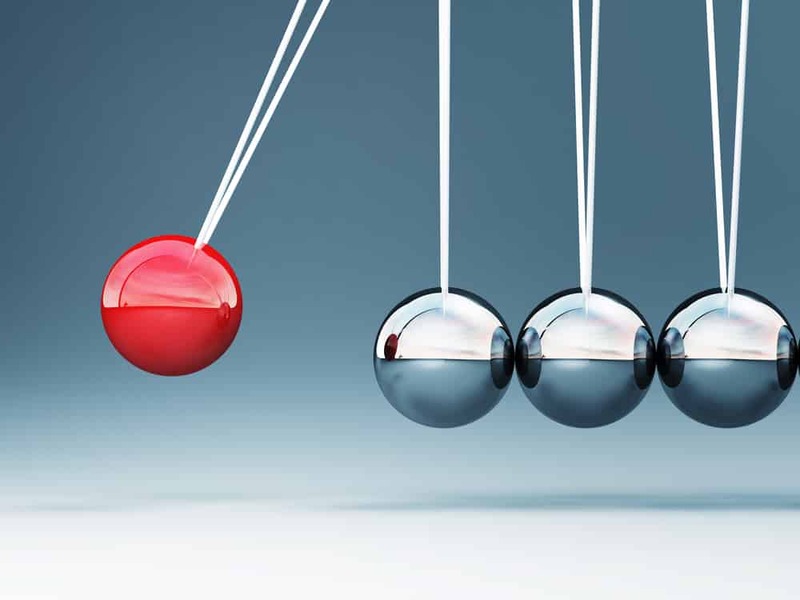 Teacher is part of the the great pendulum and while we may not the be red ball catalyst, we do impact the structure of education. With every hit (new law), we respond. With every thud (new research), we react. With every swing (new method), we learn. Our ability or inability to absorb pendulum shifts with grace directly impacts our students. So instead of focusing on the bruising impact that some of these shifts in education policy leave on teachers, I’m going to remind myself that I’ve always loved to swing and that the pendulum and all of its back and forth is just a swing set and I’m going to hold on and swing high! What kind of popular culture do you bring into the classroom? How do you use it? Do you have any comic books or graphic novel favorites that you use for reading and textual analysis? Why do you choose those? What are your favorite television shows or movies in your classes? Why do you find these helpful tools? Do you have any favorite songs that you bring into your classroom? How have students responded to your music? Why do you bring in these pieces? My initial response was rather sad. I wasn’t even sure what I was supposed to be referring to! So I did what everyone does.. I googled it. Now armed with a good definition, I can be part of conversation. While I may not personally be conversant in the current elements of “modern popular culture that is transmitted via mass media and aimed particularly at younger people, ” I do live and work with younger people every day. More than that, I talk with younger people. So here is what I have to say about using pop culture to reach students. Yep, I know a lot of people who are really good at that. I’m not one of them. But unlike other areas where I have lots of teacher and mom guilt, this is NOT one of those areas. I read a lot, but only occasionally books that young adults read. I listen to music, but again, not music that teenagers listen to.. unless they listen to broadway show tunes! I facebook, instagram, use twitter occasionally and have but don’t use snapchat. But my student’s are not my friends or contacts on these social media platforms. And they shouldn’t be. Boundaries are necessary. And you know what? I am very happy living in the land of the uncool and “out of touch.” My students are desperate for real conversations and meaningful relationships. My lack of understanding of pop culture doesn’t hinder our bond. My students don’t love me or hate me because of my relating to them about a movie or song. They love me or hate me as a direct result of my words, actions and daily response to their real needs be it educational or emotional. I know for a fact that for some of my students, I am the only adult that listens to them. I am the only adult that talks WITH them. I am the only adult that speaks wisdom into their lives. So, no. I’m not a cool teacher. But that’s okay. I remember having a few teachers as a teenager that were just cool. They had a beat on pop culture and could authentically talk to us and with us about the things we enjoyed. But I didn’t learn more about the subject matter because of their ability to engage with students about the latest movie. I learned the subject matter when it was taught well. On the flip side, I also had teachers that were the very definition of uncool. My chemistry and physics teacher didn’t watch television and could not relate to students at all in terms of pop culture. But he was incredible. He knew me and what I was capable of. He pushed me to work harder and do more. He was the first math/science teacher that made me see that I was smart and could do the work. He new his role of mentor could not be replaced and valued his work too much to focus on things that were fleeting. In the end, I have to say that yes, there are times when I’d like to be the cool teacher or cool mom. But I’m not and if I were to suddenly use the slang that is used by students, start snapchating and talking in class about the current trends, it wouldn’t be authentic and my students (and children) would see right through the effort. So instead of trying to figure out how to fit in, I don’t. I don’t need to be. That’s not my role.